In general, I can't say that the idea of "revisitations" does much for me. It's not often that artists can better or even match classic works and, let's face it, the Scorpions' 'Tokyo Tapes' is one of the great live albums. However, here we are, back at Tokyo's Nakano Sun Plaza for a reprise. 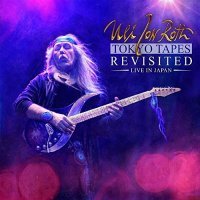 Opener 'All Night Long' kicks in with all the energy and power of the original, but thereafter Uli Jon Roth puts his own mark on proceedings with a string of Roth-written compositions that veer away from the original set-list and make this far more than just a re-tread; 'Longing For Fire', 'Sun In My Hand', 'I've Got To Be Free' and a quite majestic version of 'The Sails Of Charon' all feature. Also included this time around are 'Crying Days' and (the restored) 'Catch Your Train', making this a must-have for all Scorps and Roth fans. Many of the recognised classics are here too – 'In Trance', 'Dark Lady', 'Pictured Life' and a new version of the Japanese Folk-song that worked so well back in 1978, 'Kojo No Tsuki'. 'Fly To The Rainbow' retains its experimental, elongated solo section and is preceded by the part-improvised and very tasteful 'Rainbow Dream Prelude', while 'We'll Burn The Sky' features a touching recognition of the lyrical contribution of Roth's long-time and much missed muse Monika Dannemann. If I had to be critical at all, I'd note the curiously pedestrian version of 'Top Of The Bill' and the slightly odd inclusion of 'Virgin Killer' – a track which, given the controversy around the album sleeve and Roth's stated distaste for it, always risks appearing a touch out of kilter with his more New Age, peace loving ways. Perhaps this is Roth trying to reclaim his lyrical presentation of modern society as a killer of innocence and clarify its meaning. The band, the same line-up employed on the 'Scorpions Revisited' studio album, is superb throughout, and needs to be given the frequent instrumental excursions. Pleasingly, Roth has also secured the services of not one, but two, strong vocalists in Nathan James and Niklas Turmann, ensuring that the quality of the songs and the top-notch musicianship is not let down by the absence of Klaus Meine (that said, I still really enjoy his somewhat gnarled vocal on 'Polar Nights'). Roth further makes the set-list his own with signature covers of 'All Along The Watchtower' (referring to Bob Dylan in his intro as "the greatest American poet") and 'Little Wing'. 'Tokyo...' comes beautifully packaged as a 2CD/DVD (or Blu-ray if you so desire) set and includes an extensive photo booklet. Visually, the DVD is every bit as fresh and clear as the music, capturing well the joy and togetherness of the band and neither over nor under focusing on the master. 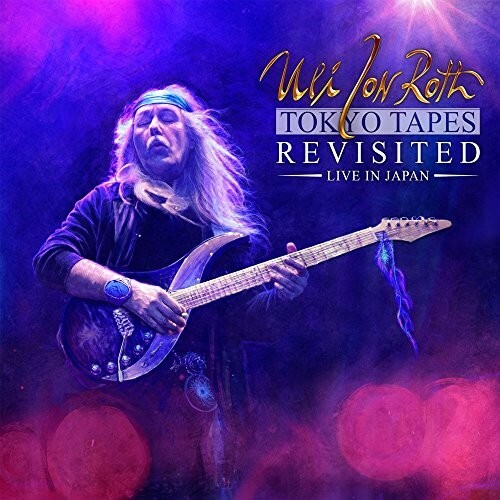 Overall 'Tokyo Tapes Revisited' is a triumph – an album that showcases Uli Jon Roth's outstanding contribution to the seventies incarnation of the Scorpions and deserves to put his status as one of the great guitarists of the Rock era beyond doubt. It's a fine recording of the night the master came... again. That's twice... and that puts him one up on Jesus!